SELBYVILLE, DE. 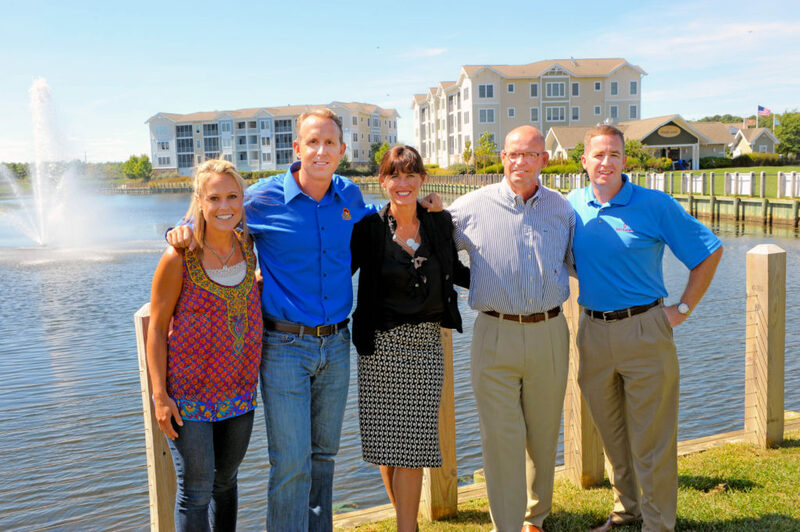 September 16, 2013 – Carl M. Freeman Companies announces the addition of three new builders to the award-winning community of Bayside in Selbyville, Delaware. NVHomes, one of the nation’s most notable and award-winning luxury homebuilders, is joined by Schell Brothers, the premier builder of new homes in the Delaware beach resort area. Additionally, Bayside now welcomes two custom homebuilders, Echelon Custom Homes and Marnie Homes. Ranging from cozy to grand, the four builders offer a selection of architecturally unique designs including townhomes, villa-style duplexes and traditional single-family homes. Visit www.livebayside.com to learn more about Bayside, a beach community like no other. Nestled just four miles from the beach, Bayside sits on nearly one thousand bucolic acres overlooking the Assawoman Bay. Bayside comprises an intimate, yet thriving, village of coastal designed homes and an award-winning 18-hole Jack Nicklaus Signature Golf Course. Built in careful concert with nature, Bayside offers abundant choices for active family fun. Owners and guests enjoy three community pools, miles of jogging and fitness trails, numerous stocked ponds, Har-tru tennis courts and an indoor fitness center and game room. The private community pier and pavilion are perfect for paddleboarding and kayaking, fishing and watching the sunset. Bayside is also home to the renowned Freeman Stage and offers convenient shopping and dining options including Harris Teeter Market. For more than sixty-five years, The Carl M. Freeman Companies have been at the forefront of building community for families at home, work, and play. By shepherding groundbreaking concepts into high quality residential, retail, office and golf projects throughout the Mid-Atlantic region, Freeman sports a diverse and robust portfolio. In the early seventies, Carl M. Freeman began construction on Sea Colony, an accessible vacation spot in Bethany Beach for the whole family to enjoy. Later came The Preserve, The Cove, The Village at Bear Trap Dunes, and now Bayside, all offering natural beauty, world-class amenities and endless opportunities for fun and relaxation with loved ones. For more information about The Carl M. Freeman Companies and Bayside, visit www.livebayside.com or call 302-436-3000.